If your image of a cottage holiday in Wales conjures up a damp cold cow shed on a windswept mountain then it’s time you stayed with us! We don’t do damp & cold here, our properties have full underfloor heating and have been completely renovated to ensure whilst they retain the character and charm of their years, the offering is truly 21st Century. We know your holiday is a precious time so we’ve made sure you’ll find everything you need to ensure you have a comfortable and relaxing stay. Drop your bags and the car keys and head down the miner’s track to the beach – just 15 minutes walk. This used to be the route of the old railway to Saundersfoot but now provides a beautiful level path for cycling or walking to Wiseman’s Bridge and on to Saundersfoot. The Wiseman’s Bridge Inn is right on the beach and provides the perfect vantage point to take in the view along the coast to Monkstone Point & Tenby – along with some liquid refreshment. What our customers are saying about us…. We’ve just got back from Fairview and we had a fabulous week in one of the most comfortable cottages we have ever stayed in. 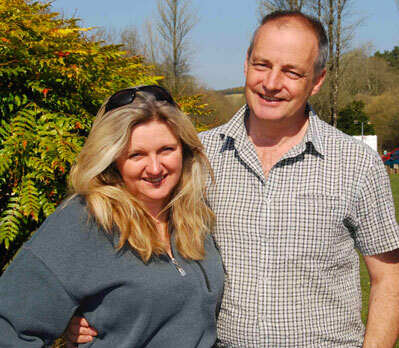 Simon & Amanda were so easy to deal with and I can’t recommend this property highly enough. You have to stay here!! Beautiful building, beautiful features, fantastic fixtures & fittings, perfectly positioned = ideal relaxed getaway!! Directions – travel West from Carmarthen toward St.Clears stay on the A40 dual carriageway to the roundabout then take 1st exit A477 towards Tenby. Please note there is a new section of road here that may not be on the Sat Nav but don’t panic it rejoins the old road! Down the hill and over the bridge then sharp left signed Pleasant Valley. Almost immediately turn left again and pass under the bridge you just crossed. This road leads into Pleasant Valley, Mill House Caravan Park is on your left. If you’re staying at Fairview call here to collect the keys unless otherwise arranged. The cottage is a few hundred yards further down the lane on the right hand side. If you’re staying at The Granary drive past the entrance to the Park and the driveway for the Mill is the next entrance on the left. Caution – don’t rely on Sat Nav in Stepaside some systems think the bridge is a crossroads!